Romelu Lukaku was benched for Manchester United's Premier League game against Everton on Sunday, with Jose Mourinho admitting his striker is low on confidence. Lukaku, who has failed to score in his last eight appearances for United, was named among the substitutes against his former club as Fred made his first start since September 22. Marcus Rashford, Anthony Martial and Juan Mata were instead deployed in attack at Old Trafford against Marco Silva's side. Explaining his decision, Mourinho told Sky Sports: "The reason is, he is playing lots of matches and lately, not just not scoring goals, but also not showing lots of confidence. 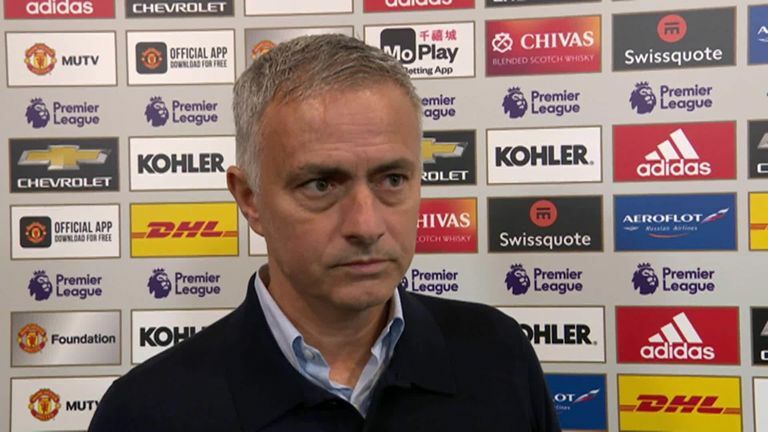 Jose Mourinho speaks ahead of Manchester United's game against Everton and explains the decision to leave Romelu Lukaku out of the starting XI. "Sometimes we decide that the best thing for the players is to not be on the pitch, to be protected and away from the initial pressure. "If he comes into the game later, he will come with a positive feeling of trying to make a difference and be back to normality because normally with Romelu, he scores lots of goals. "So I think he is under pressure a little bit because he is not doing that."